Mint tea is always refreshing in the summer. But Moroccan Mint Tea is even better. This recipe by Nancy of Livin’ In the Green couldn’t be more timely. The recipe uses two different types of tea and is easy to make. One of the teas is strong and has a sort of smokey honey and mint taste. The other tea is, of course, a pure mint. In Morocco this tea is always served hot. However, I like it iced in the summer. 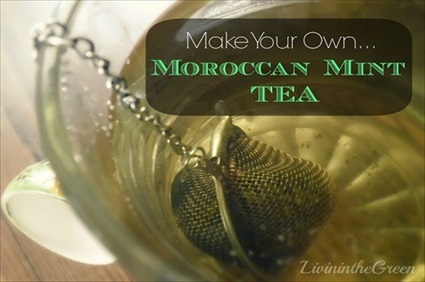 Click on the Make Your Own Moroccan Mint Tea link below to see the complete post.